Where’s Gabe Kaplan and Telly Savalas? Jeopardy recently announced that they will be a holding a new super-tournament next year, with a brand new format. Six teams, each consisting of three former champions, will be competing over a two week tournament. In each game that a team plays, every team member will take on the responsibility one of the three Jeopardy rounds. While the full rules and structure of the tournament are yet to be released, it’s still a very intriguing concept. 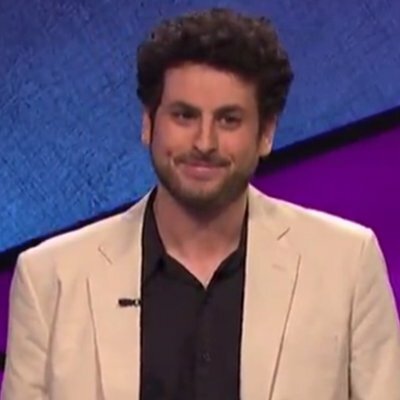 The show has already designated the six team captains (Ken Jennings, Brad Rutter, Colby Burnett, Julia Collins, Buzzy Cohen, and Austin Rogers), with the other twelve slots to be decided in a draft held live later this month. And if you didn’t think I was going to go all Mel Kiper Jr. on you and overanalyze the twelve-member draft pool, then you clearly don’t know me well enough. Buzzer Percentage, abbreviated “b”. This is an estimation of the percentage of clues a player buzzes in on. Since this metric is evidence-based, it is influenced by a player’s skill with the buzzer. That is, if a player is better with the buzzer than their opponents, it will appear that they are attempting to buzz in on a higher number of clues. As a result, this metric is also correlated with a player’s buzzer skill. An average player will have a b of about 61%. Precision, abbreviated “p”. This is a player’s percentage of clues answered correctly. As in Coryat Scoring, Daily Double clues are counted in this calculation if they are answered correctly, and ignored if answered incorrectly. An average player’s p will be around 87%. As you might expect, these two metrics are often inversely correlated. As a player buzzes in more often, they will respond correctly less often, and vice versa. It hardly seems fair to judge a player solely on their achievements at a Teen Tournament that will have happened six years in the past when this tournament takes place. Cooper was 16 when he last played, and will be 22 when the tournament kicks off, and the gulf between where a contestant was the last time they played and where they are now will be much larger for him than for just about any other player. Still, let’s look at his history. He did win the Teen Tournament, but only after getting into the finals by benefiting from a literal once-in-a-lifetime happenstance as a semifinal wildcard. He was $14,000 behind heading into Day 2, but still managed to pull out the win thanks to a gutsy Daily Double wager. His buzzer skills seemed good, but that p of 87% worries me, especially considering it was earned in the relatively easy setting of a Teen Tournament. He’s going to be a wild card, and I for one am very interested to see what he can do. I hate to say it, but Monica’s Jeopardy career, at least when compared to others in the draft pool, is unfortunately underwhelming. She qualified for a wild card after losing a lock game in the first round of the 2012 College Tourney, won her semifinal after going into FJ in third place, and was outscored in both her final matches. Still, she won – can’t forget to give her credit for that. When she came back for the 2013 ToC, she lost a lock game in the quarters. And the metrics agree: both her buzzer percentage and her precision are below the level of an average player. 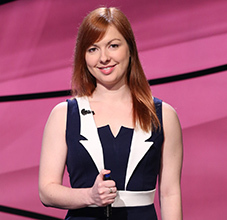 On the positive side, Monica is a career 5/5 in Final Jeopardy, the only person in the draft pool to have a perfect record in the round, even though the sample size is pretty small. 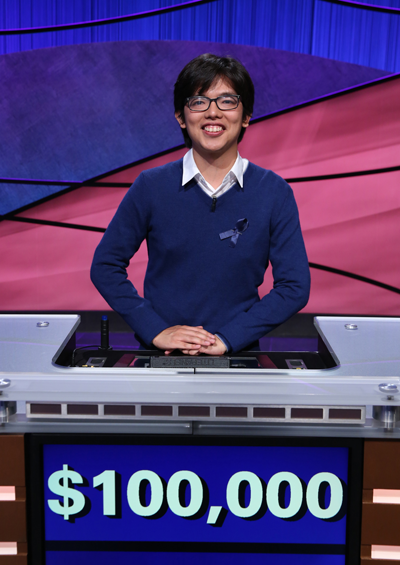 Given the format of the tournament, she could be employed as a Final Jeopardy specialist. 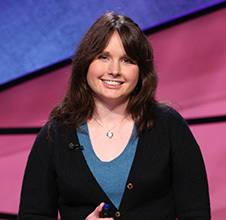 Jennifer had a very good showing in her 2015 tournament, locking both her quarterfinal and semifinal games, and winning both halves of her final. The metrics, both well above average, match her rather dominating performance. The problem was in her ToC match. It’s only one game, so I wouldn’t want to put too much stock into it, but it represents 20% of her Jeopardy career. It was also against fellow draftee Matt Jackson, showing what may happen when facing the caliber of players in this tournament. Without many other games in her portfolio to point to, that game takes on an unfortunate level of significance. I think she’s potentially a very good player and a strong member for the team that selects her. Unfortunately, she doesn’t have the same number of dominant games as many of the other draftees, which contributes to her low ranking. 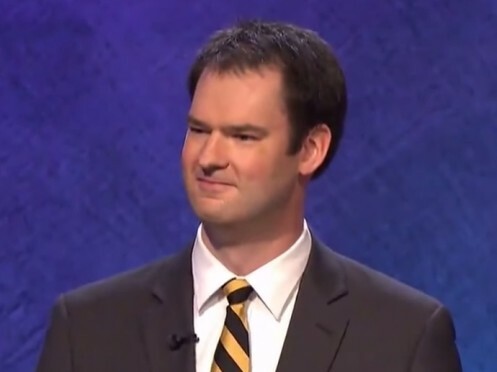 Lin finished behind Buzzy Cohen in the most recent ToC, and even beat potential team captain Austin Rogers twice – once in their Quarterfinal game, and finishing ahead of him in the final. Despite that feather in his cap, I can only rank him as high as ninth. His buzzer scores have been average at best. While he is quite precise, there are just too many other players in the draft pool with similar or better precision scores with a higher buzzer percentage. David is one of the players I am most interested in seeing play. It will have been 13 years since the last time he played, as he turned down an invitation to 2014’s Battle of the Decades. He is, by a large margin, the rustiest player in the field. Will that affect him? David had similar metrics to that of Alan in the previous spot during his initial 20 game run. His buzzer score was slightly better during his Tournament of Champions, albeit only over a two game sample. His precision cratered, however, thanks to a poor semifinal game where he went 15/21. That may have just been a bad game, and I’m willing to give a little slack if a player plays poorly once over a stretch of 22 games. Pam is one of the most experienced players in the entire tournament, at least in terms of games played over such a long period of time. This will be the fifth tournament for Pam in over the course of almost two decades, a feat that can only be matched by Brad Rutter. As such, it’s hard to know how much emphasis to put on her earlier tournaments. Her College tournament win was done with below-average buzzing but very good precision. Both metrics faltered during her ToC run. Three years later she returned for the Ultimate Tournament of Champions, where she became, at least in my opinion when I was watching, the breakout player of the whole thing, winding up as one of the last six players in the knockout, non-Ken division of the tournament. She followed that up with another strong performance a decade later, getting to the semis of a very difficult Battle of the Decades tournament as well. Ignoring her subpar 2001 ToC, her metrics overall has been strong. She’s proven to be a good player over a long time, and I expect nothing less from her once more. Small differences in buzzer performance can make a world of difference. Seth won 12 games, performing above average on the buzzer while still being very precise with his answers. On the other hand, he was one-and-done in his ToC, taking a third place finish in his one game with a cratering buzzer score, despite maintaining his precision. If Seth’s buzzer can be more like his 12-game run, he’ll be a solid pickup for the team that drafts him. Ben made his bones by being very cautious with the buzzer and picking his spots, and it served him very well. When he opened his mouth, he was usually right. That, combined with a career 12/13 FJ record, earned him 8 wins and gave him an impressive ToC victory in 2014 over the more-heralded Arthur Chu and potential team captain Julia Collins. The level of competition is now being raised once more. The question must be asked if that game plan can bring him success again. I’m still expecting a strong showing, as evidenced by his top-half ranking. Roger Craig is, by far, the best pure buzzer in the draft pool. He is also, by far, the least accurate player in the pool. Just to remind you, a precision of 80% in the most recent Battle of the Decades meant that, over the course of those five games, once out of every five times he buzzed in, he responded incorrectly. You can’t knock it too much, though. It worked for him, as he was able to finish in third place finish in the Battle of the Decades behind Brad and Ken. Roger is an interesting case. Buzzer Percentage and Precision are inversely correlated, and among most strong players, it seems that if one score is noticeably higher than the other, it’s precision. Roger is just the opposite, and is the one player in the draft pool that plays this way. The simulations seem to favor this style of play, which is why he’s ranked this highly. Yep. Larissa Kelly. Ranked third. I was surprised too. When I looked over the list of names, I didn’t even recognize Larissa at first. But after I studied her games and calculated her metrics, I couldn’t deny what I saw. She may be one of the most underrated champs of all time. She had great control of the buzzer during her initial run, but still answered with great precision. Her run could, and perhaps should, have gone longer, but one bad game with two missed Daily Doubles ended her run. While most people’s buzzer scores drop between their initial run and their Tournament of Champions, hers actually increased over the four games. In that ToC, she won her first two games convincingly, and even had the overall lead heading into FJ on the second day, only to miss while her opponents got it. You may worry about her one-and-done performance in the Battle of the Decades, but watching the game tells a different story. Once again, she took a big lead going into FJ, only to once again miss the question while her opponents were correct. 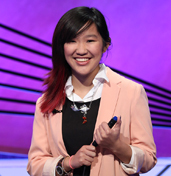 Those two Final Jeopardy misses were the only misses of her career. 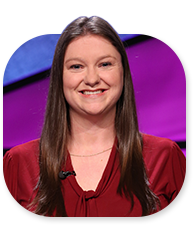 Anybody who’s ever played the game knows you need a lot of luck to win a game even a single game of Jeopardy, and it looks like luck was the only thing that prevented Larissa from having a more memorable career. She’s not a big name, and thus I fully expect her to fall to the second round of the draft. The team that picks her up will be very, very lucky. Matt Jackson is scary good. That much was evident just from watching him play, but when you dig into his numbers, you realize just how good he is. I’ve got him graded as the most precise player in the pool, playing a total of 17 games at such a high standard. Precision like that usually is the result of being a bit pickier with the buzzer, but his buzzer score is also among the highest in the pool as well. He even maintained those stats almost exactly during his Tournament of Champions. He’s just really, really good, and I wouldn’t be shocked to see him drafted first overall. If Matt Jackson was number two, then the person who beat him in the Tournament of Champions had to be number one. Alex’s buzzer score is the second best in the draft pool, behind only Roger Craig. However, while Roger’s proclivity with the buzzer is tempered with an unfortunate number of wrong answers, Alex’s buzzer skills have no such caveat. His precision also ranks among the best in the field. 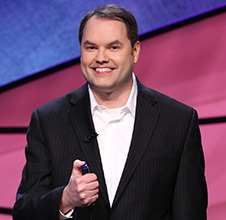 The only knock against him is his record in Final Jeopardy, which stands at an hardly-believable 2-for-11. Thanks to the tournament format, he may not ever have to play Final, and so I can overlook that blemish and still name him my number one overall draft pick on my board. In reality, all twelve of these players have shown themselves to be great champions, and however the teams break down, they all will have a great chance to win it. I’m looking forward to seeing how it shakes out come next year. Roger’s stats may be affected by his aggressive strategy of hunting for the Daily Doubles and betting everything on them. That’s a good point – he may have just been stretching himself a bit on those high-dollar clues in order to keep control of the board. I’ve said this in other places, but if I’m picking a teammate, I’m looking first and foremost for somebody I can trust to win me a million dollars by getting FJ right. As a team captain, I’m playing the important clues in DJ myself, then hopefully handing some size of lead to my closer. Ben Ingram and Larissa Kelly are the two best closers in the field, and it’s not close. Seth, David, and Alan are the second tier. Monica would be an intriguing pick as a closer; she has a perfect record so far in FJ, but it’s a really small sample size comparatively. What we don’t know about the format is to what extent there is strategic value to drafting for position vs. drafting for overall quality. It will be interesting to see the full rules when they are released. Given that it’s a two week affair, and there are only six teams, each team will be playing a good number of games. As such, I’m wondering if every player will have to play in every round at least once during the tournament. If so, then you’re going to want to draft based on overall quality. If not, then your strategy of prioritizing a good closer will be a strong one. Roger is especially interesting here. To use that NFL Draft analogy, he’s a Patrick Mahomes type – a gunslinger who’ll take risks others wouldn’t, and may or may not be rewarded for them. He might be best deployed in round 1 in an attempt to get a team off to a fast start, knowing that if it fails (and in this company it very easily could fail) there’s plenty of time in Double to come back. Yeah, I love Roger – the juevos on this guy! – but it’s tough to predict with him, because his DD betting strategy is off the charts. I had the privilege of seeing Larissa’s original run. I thought Larissa would be picked in the top 6, but I was a little surprised to see her in 3rd place! She is a monster and am excited to see Brad, Larissa, and David (!!!!!) crush the competition. Alex Jacob often didn’t bother with a serious FJ response when he had a lock game. He was 2/6 when he put money down. Still not great, but 2/11 is highly misleading. Wow, very cool breakdown. I’m also surprised about Larissa – she’s not on my radar. I’m not surprised about Alex Jacob – the guy was an absolute monster. Also, I loves me some Roger Craig, and his strategy of ridiculously huge bets worked for him . . . until it didn’t. Not surprised about Matt Jackson or Ben Ingram for the rest of the top five. Also interesting – for me – that I don’t compare that badly with some of these people. I had a 90% precision rating, which ain’t too shabby, especially compared to this group. I dunno how the buzzer rating is calculated though. It seems like it’s based on attempted buzzing in as well? I specifically hid my buzzer from the camera because I thought I would embarrass myself.